It’s a feast for all the senses and you can take part in this experience by attending Theme Night at Kaiser Maximilian Restaurant in Puerto Vallarta during the 22nd Annual Festival Gourmet. Traditional Austrian cuisine with a modern twist will be featured by Guest Chefs Johannes Weinberger and Lida Zebedin. 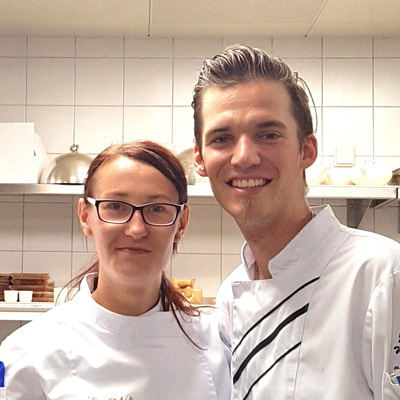 Johannes and Lida work under Master Chef Martin Sieberer at the Trofana Royal Hotel, which is the only 5-star hotel in Austria. They have also worked in great restaurants in Carinthia and Styria before joining the team at the hotel. The Chef’s Theme Dinner includes a variety of dishes and wine pairings that will entice any foodie. The meal is on Tuesday, November 15, 2016, at 8pm sharp. The cost is $1500 pesos per person, which does not include gratuity. There will be also be live music by the famous, local musical group Los Bambinos. Reservations are required, please call the restaurant at 223 0760 or 222 5058. Austrian cuisine is influenced by the greatly by the former Austro-Hungarian Empire and Martin is one of those artists who is dedicated to the emphasis and reinterpretation of his regional cuisine. This combination of traditional, well-known and indigenous with interesting, new forms of preparation, some playfulness and unusual effects characterizes the Tyrolean’s cuisine style. His Sous Chefs Johannes and Lida will interpret his dishes nicely. Experience this meal at Kaiser Maximilian. This entry was posted in Festival Gourmet and tagged Festival Gourmet Puerto Vallarta, Festival Gourmet Restaurants, Kaiser Maximilian Festival Gourmet, Kaiser Maximilian Puerto Vallarta. It’s a feast for all the senses and you can take part in this experience by attending Theme Night at Kaiser Maximilian Restaurant in Puerto Vallarta during the 21st Annual Festival Gourmet. 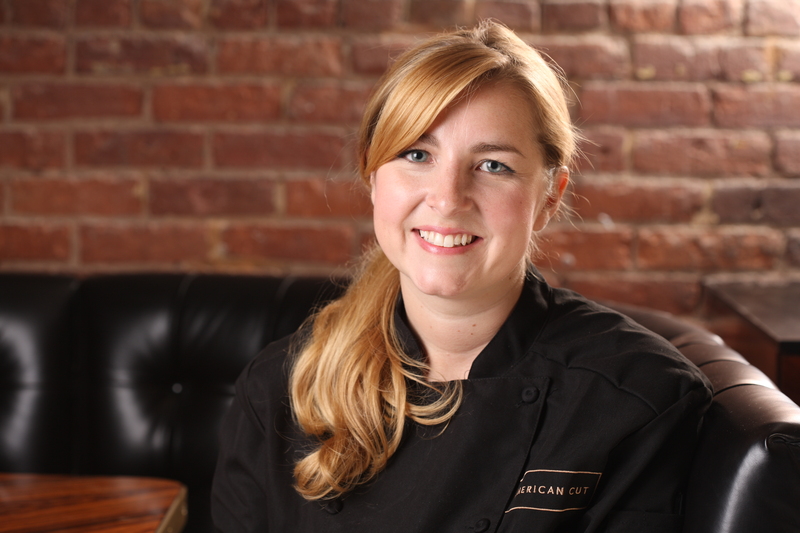 New American Cuisine will be featured by Executive Guest Chef Daniel Eardley and Executive Pastry Chef, Tara Glick, both from American Cut in New York City. New American Cuisine can be described in several ways. 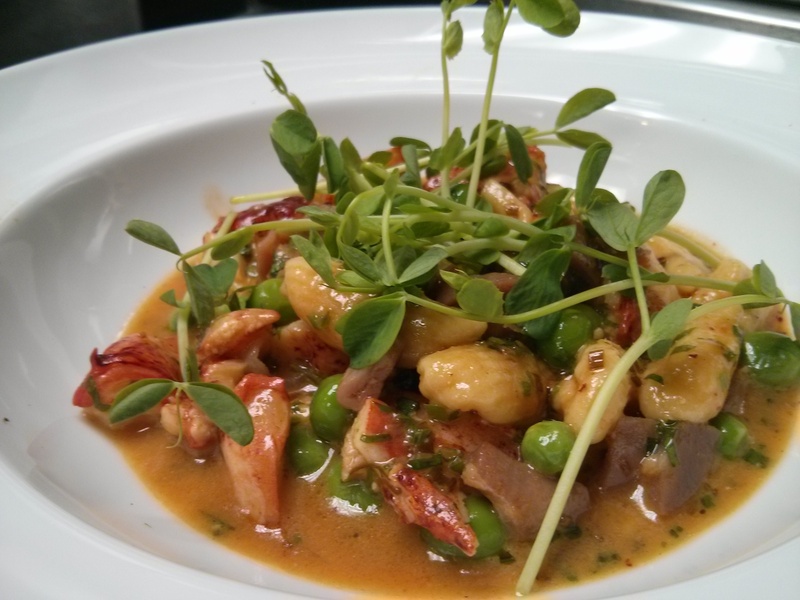 It is fusion cuisine, it updates classic American dishes and features local, seasonal high-quality ingredients. This wave of cooking highlights a heightened consciousness about health and chefs began look for ways to produce healthier, more natural upscale food. The Chef’s Theme Dinner includes a variety of dishes and wine pairing that will entice any foodie. The meal is on Wednesday, November 18, 2015, at 8pm sharp. The cost is $1400 pesos per person, which does not include the tip. They will be featuring live music by the local musical group Los Bambinos. This style of cuisine allows creative freedom for the chefs and it’s a broad category with influences from all over the world, mainly because the US is a country of immigrants. The potential for innovation is endless. 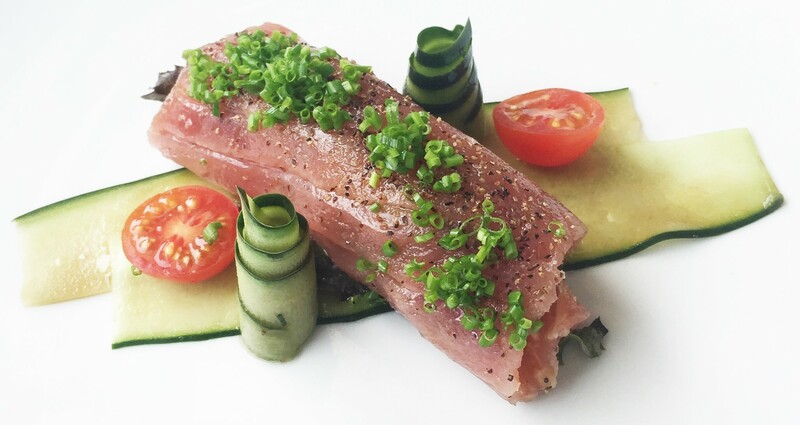 This entry was posted in Festival Gourmet and tagged Chef Daniel Eardley, Festival Gourmet Puerto Vallarta, Festival Gourmet Restaurants, Kaiser Maximilian Puerto Vallarta, Puerto Vallarta, Puerto Vallarta Restaurants. Si te gusta comerte el postre primero, hay una mujer que vendrá a la ciudad y puede hacer tu sueño realidad. El Restaurante Kaiser Maximilian se está preparando para su 21avo Festival Gourmet Internacional que va del 16 al 22 de Noviembre, 2015. Los restaurantes participantes son anfitriones de chefs de todo el mundo y habrá dos chefs invitados en Kaiser Maximilian. El Chef Daniel Eardley y la Chef Ejecutiva en Repostería Tara Glick, los dos de American Cut en la Ciudad de Nueva York. “Mi madre era una terrible panadera,” se ríe Tara, “cuando estaba en la escuela y teníamos que llevar cupcakes hechos en casa, yo me avergonzaba porque los de mi mamá eran espantosos. Tan pronto como pude manejar un horno y batidora empecé a hornear como loca.” Sin embargo, ella no empezó su aventura profesional en repostería hasta un poco mas tarde. Tara se graduó de la Universidad de Boston en 2007 con un título en negocios y después hizo a un lado sus planes para la escuela de leyes por tomar un trabajo en una firma de publicidad en la Ciudad de Nueva York. Después de 3 años se dió cuenta que pasaba más y más tiempo en su pequeña cocina, experimentando con nuevas recetas para hornear y llevando sus creaciones al trabajo y haciendo que sus agradecidos compañeros de trabajo las probaran. Se expandió y empezó a hornear pasteles para boda también. “Estaba entrando a la crisis de mi cuarto de vida,” dice Tara, “mi carrera de publicidad no estaba llenándome y quería hacer un cambio drástico.” Una vez que la idea de la escuela culinaria se convirtió en un pensamiento que no pudo sacudir, Tara se inscribió en el programa de artes clásicos de repostería en The French Culinary Institute, el cual es una de las escuelas más respetadas en el mundo. Cuando terminó el programa, ella ocupó una serie de puestos en restaurantes como Locanda Verde y Maialino en la Ciudad de Nueva York y continuó puliendo sus habilidades. El famoso chef del Food Network Mark Forgione abrió American Cut en Revel Resorts en Atlantic City y contrató a Tara como la Sous Chef de Repostería. Al cabo de seis meses, ella fue promovida a Chef Ejecutiva de Repostería y pudo compartir sus extravagantes y modernos postres con las cenas de éste restaurante de alta cocina en cortes de carne. Cuando American Cut abrió sucursal en Tribeca, Nueva York, Tara extendió su puesto de Chef de repostería para los dos restaurantes. Hoy expande sus horizontes hacia el sur de la frontera. Durante el tiempo que ha estado como Chef de Repostería en American Cut, el restaurante ha sido galardonado Mejores Postres de New Jersey, nombrado uno de los mejores Restaurantes en Postres en 2014 por NY Magazine y elegido como Mejores Biscuits NYC por NBC News. La Ciudad de Nueva York es su hogar, ella quiere quedarse ahí y algún día abrir su propio restaurante. Tara estará compartiendo su pastel de manzana con crema de maple, un cheese cake de crema agria con fresas y piña y una panna cotta de chocolate con biscotti de expresso y crema de Kahlúa. Estos postres se presentarán en Kaiser Maximilian durante el festival y después. No olvides hacer tu reservación para el Miércoles 18 de Noviembre, 2015, porque es la noche de la mesa del chef, cena de seis tiempos de New American Cuisine con meridaje en el restaurante y el costo es de $1,400 pesos. This entry was posted in Festival Gourmet and tagged Chef Daniel Eardley, Festival Gourmet Puerto Vallarta, Festival Gourmet Restaurants, Kaiser Maximilian Puerto Vallarta, Pastry Chef Tara Glick, Puerto Vallarta Restaurants. It is a long way to go from a small upstate New York family farm to one of New York City’s better known restaurants, but one guest chef visiting Puerto Vallarta, Mexico has done just that. Kaiser Maximilian Restaurant is featuring Executive Chef Daniel Eardley during the 21st International Festival Gourmet that runs November 16 to 22, 2015. Awesome chefs from all over the world descend on PV at the event’s participating restaurants and hotels. Andreas Rupprechter, owner of Kaiser Maximilian, will also be hosting Executive Pastry Chef Tara Glick both work at American Cut in New York City. “I was a picky eater growing up,” says Daniel, “I was not all that fond of my mother’s cooking so I started experimenting in the kitchen when I was really young.” His first job gave him valuable lessons. He started college as a business major but soon decided that accounting and other similar classes were just not for him and he moved to Lake Tahoe and chased the pipe dream of becoming a professional snowboarder. “I just wanted to keep going downhill faster,” laughs Daniel, “I started out snow skiing and switched to snowboarding because if was easier on my knees.” He was taking time while he was young to find himself and explore his options. Daniel realized he liked working with food and remembered that his German mentor said that it was possible to make a career in the kitchen. This was the early 1990s a bit before the Food Network launched all its super star chefs. The idea was a bit of uncharted territory to him but he took to it like a black diamond ski run. He attended the Culinary Institute of America in Hyde Park, New York and graduated with honors in 1996 and his food journey continues to this day. His first job was in Napa Valley, California at Michael Chiarello’s Tra Vigne. From there, he traveled throughout the valley and San Francisco working for free to learn as much as he could about the industry. He also realized that his short time in business classes would help him greatly in the future. Daniel returned to New York and worked for Larry Forgione at American Place for several years. Then he left to open Washington Park also in New York under mentor Jonathan Waxman. After its closing, Daniel traveled around Mexico and Europe before returning to New York for consulting work and finally opened his farm to table restaurant in Brooklyn called Chestnut. After a decade Daniel closed his restaurant and reunited with the Forgione family at American Cut. He has had a chance to redefine the traditional, classic steakhouse to a more modern, seasonal version. He will now share some of his expertise in Puerto Vallarta. “A former Kaiser Maximilian guest chef is an acquaintance of mine and he sells a restaurant app called Shoebox and that’s how we met,” says Daniel, “we hang out every now and then and he’s a really cool guy and he called out of the blue one day to ask me what I was doing in November.” From there the spot was secured for his trip south of the border. “This is going to give me a good chance to communicate in Spanish,” says Daniel, “I also think it will be very cool because we can create a synergy in the kitchen and it will give me the chance to do something completely different and work with people that I do not know.” He has never been to Puerto Vallarta but looks forward to a culinary giant of a week. He will delight the clients with his wide variety of cooking styles and some of his dishes will include: Oysters with wasabi cucumber mignonette and caviar, sweet potato agnolotti with sage and pumpkin seed vinaigrette, cowboy pork chop, potato mille feuille and bone marrow gremolata, plus many other surprises. Don’t forget to make your reservations for Wednesday, November 18, 2015, because it is the night of the chef’s table, New American Cuisine six-course dinner with wine pairings at the restaurant and the cost is $1400 pesos. This entry was posted in Prensa and tagged Chef Daniel Eardley, Festival Gourmet Puerto Vallarta, Festival Gourmet Restaurants, Kaiser Maximilian Puerto Vallarta. If you like to eat dessert first, there’s one woman coming to town that can make your wish come true. Kaiser Maximilian Restaurant is preparing for the 21st International Festival Gourmet that runs November 16 to 22, 2015. Restaurants participating host chefs from all over the world and there will be two guest chefs at Kaiser Maximilian. Chef Daniel Eardley and Executive Pastry Chef Tara Glick both from American Cut in New York City. “My mother was a terrible baker,” laughs Tara, “when I was in school and we had to bring homemade cupcakes, I was embarrassed because my mom’s were awful. As soon as I could handle operating the oven and mixer I began baking like crazy.” However, she did not start her professional pastry adventure until a little later in life. Tara graduated from Boston University in 2007 with a degree in business and then put off her plans for law school to take a job at a New York City advertising firm. After 3 years she found herself spending more and more time in her small kitchen, experimenting with new baking recipes and taking those creations to work and having thankful coworkers taste test them. She expanded and started baking wedding cakes, too. “I was hitting my quarter life crises,” says Tara, “my advertising career was just not fulfilling and I wanted to make a drastic change.” Once the idea of culinary school became a thought she could not shake, Tara enrolled in the classic pastry arts program at The French Culinary Institute, which is one of the most highly respected culinary schools in the world. Upon completion of the program, she took a series of positions at restaurants like Locanda Verde and Maialino in NYC and continued to hone her skills. Famous Food Network Chef Marc Forgione opened American Cut at the Revel Resorts in Atlantic City and hired Tara as the Pastry Sous Chef. 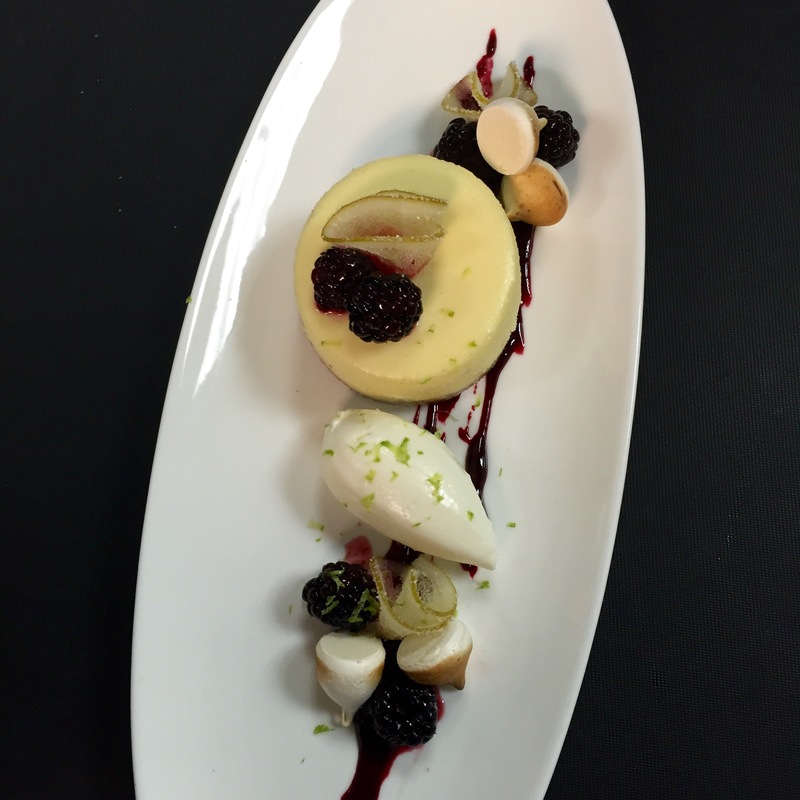 Within six months, she was promoted to Executive Pastry Chef and was able to share her whimsical, modern desserts with the diners of this high-end steakhouse. When the flagship location of American Cut opened in Tribeca, New York, Tara extended her role as the pastry chef for both locations. She is now expanding her horizons to well south of the border. Tara will be sharing her apple spice cake with maple cream, a sour cream cheese cake with strawberries and pineapple and a chocolate panna cotta with expresso biscotti and Kahlua cream. These items will be featured at Kaiser Maximilian during the festival and beyond. 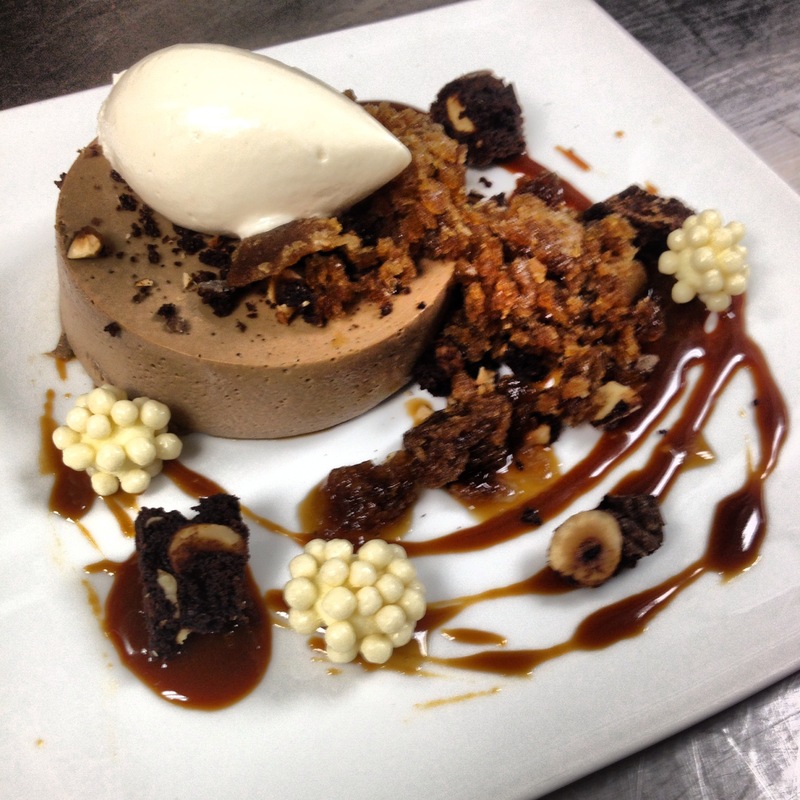 During her tenure as Pastry Chef at American Cut, the restaurant was awarded Best Desserts New Jersey, named one of the Best Dessert Restaurants in 2014 by NY Magazine and selected as Best Biscuits NYC by NBC News. New York City is home, she wants to remain there and someday open her own restaurant. This entry was posted in Prensa and tagged Festival Gourmet Puerto Vallarta, Festival Gourmet Restaurants, Kaiser Maximilian Puerto Vallarta, Pastry Chef Tara Glick. It is time to celebrate culinary excellence at the 20th Annual Festival Gourmet. Chef’s from all over the world gather in Puerto Vallarta and cook with flair at area restaurants. Kaiser Maximilian has been participating in this event every year and this time they are featuring Executive Chef, Chris Bradley from Untitled Restaurant in New York City. He brings years of experience and his special recipes to town. Chris met Andreas Rupprechter, chef and owner of Kaiser Maximilian through last year’s Guest Chef, Tony Aiazzi, also from New York. Andreas thought this would be a good fit for the festival. 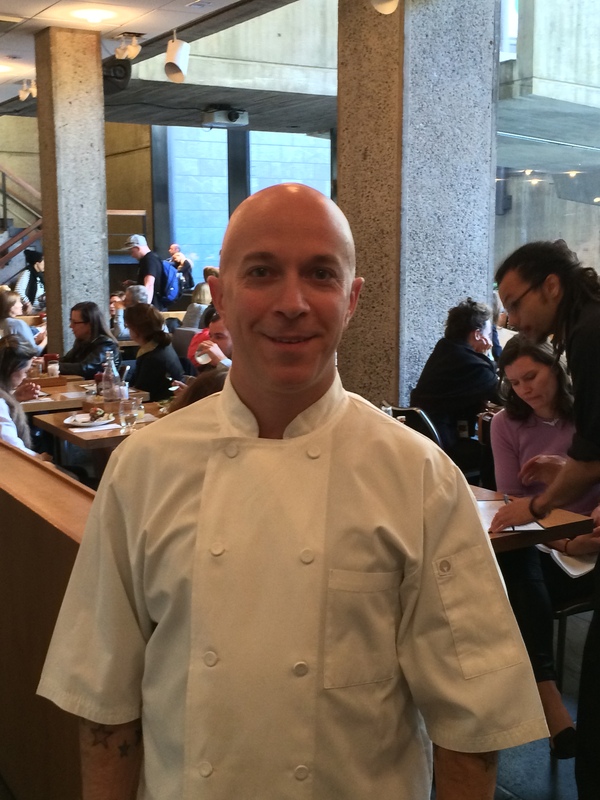 During the festival Kaiser Maximilian will be featuring special menu items created by Chris. 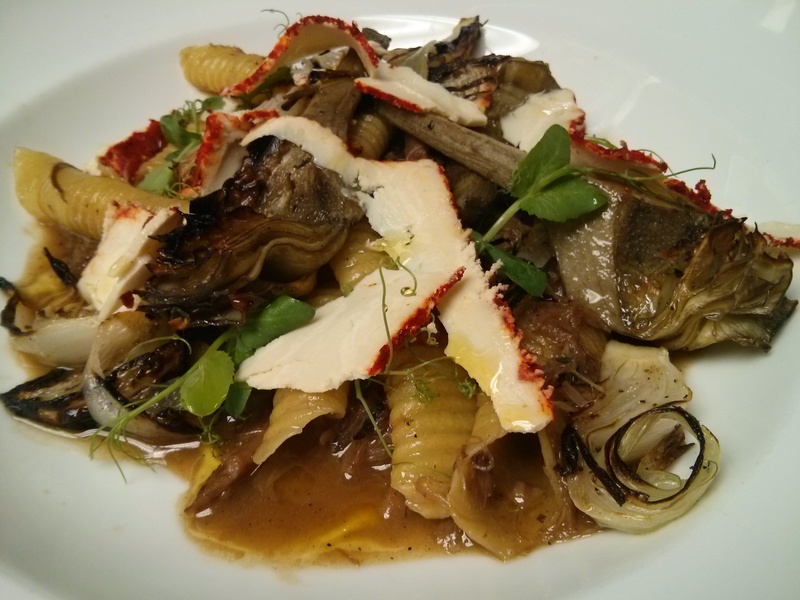 They are participating in the Progressive Avant-Garde Dinner on Monday, November 17, 2014. Their desserts will be the featured. The Chef’s Table Dinner, New York, New York will be on Tuesday, November 18, 2014. You do not want to miss that. Reservations are a must because this event always sells out. You can call the restaurant at 322 223 0760 to secure your table. This entry was posted in Prensa and tagged Festival Gourmet Puerto Vallarta, Festival Gourmet Restaurants, Kaiser Maximilian Puerto Vallarta, Puerto Vallarta, Puerto Vallarta Restaurants.